A review of the EU’s Transparency Register, due to be completed in December, has highlighted divisions on key issues such as the compulsory registration of lobbyists. Rainer Wieland, a German MEP working on the review, says such questions could be postponed to a later date. With the European Commission and Parliament leading a joint committee to scrutinise the EU’s lobbyist transparency register, NGOs are keeping a close eye on the developments. The Parliament's credibility is at risk if the register is not made mandatory, argues Paul de Clerck. The European Transparency Register, the EU's database for lobbyists, is currently under scrutiny as it set to be reformed by the end of 2013. Above all, the register needs more resources and to get rid of its loopholes, if Brussels wants a fair public affairs level playing field, Karl Isaksson says. European Commission Vice President Maroš Šef?ovi? is confident that the European Citizens’ Initiative, one of the new democratic tools pushed forward by the Lisbon Treaty and to be launched on 1 April, will contribute to bringing Europe closer to its citizens and create a "genuine European public space". The leaders of Greece, Bulgaria and Romania, should swallow their pride and allow external experts to administer EU funding in their countries, Jorgo Chatzimarkakis, a German liberal MEP of Greek descent, told EURACTIV in an exclusive interview. Cooperation between the European institutions could be improved if the European Commission and the Parliament were more mindful of the realities in EU member states, Reijo Kemppinen, director-general for press and communications at the European Council, told EURACTIV in an exclusive interview. The common perception in Central and East European countries that lobbying is no more than "corruption in sophisticated disguise" explains why calls to ban lobbying can be heard every now and then, argues Agnieszka Cianciara, an expert on lobbying and senior teaching assistant at the College of Europe. Even as a growing number of challenges - including new media, the economic crisis and the rise of populist politics - are threatening the independence and viability of traditional media in Europe, quality journalism remains as necessary as ever to democracy, argues Aidan White, the former head of the International Federation of Journalists. Businesses require "much more professionalism" and "swifter answers" from their industry associations to deal with the complexity of today's EU institutional landscape, Alain Beaumont, founder of AGEP Association Management, told EURACTIV in an interview. A special group was set in the European Parliament up last month to collect first hand information on the issues affecting raw material prices and availability. The group's chair, German MEP Karl-Heinz Florenz (European People's Party), told EURACTIV about his objectives. Following the entry into force of the Lisbon Treaty, which grants national parliaments a bigger role in EU policymaking, MEPs are set to strengthen the cooperation between national and European members of Parliament by intensifying work among policy committees, said European Parliament vice-president Silvana Koch-Mehrin in an interview with EURACTIV. The European Commission is considering boosting the role played by the EU's own resources in the next budgetary cycle, the institution's vice-president, Maroš Šef?ovi?, told EURACTIV Slovakia in an interview. Candidates for positions in the EU institutions are primarily being tested for ability and potential, rather than specialised knowledge, under the new system launched by the European Personnel Selection Office (EPSO), Carmen Peter, a Brussels-based executive coach and trainer, told EURACTIV in an interview. 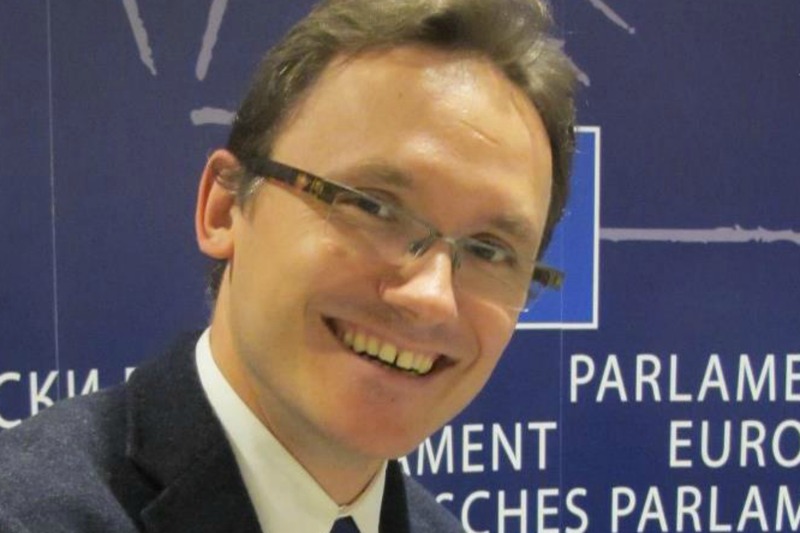 Decision-making under the EU's reformed comitology system represents a 'black box' in EU transparency, prominent consultant Daniel Guégen told EURACTIV Czech Republic in an interview, asserting that power in Brussels "is shifting from the political level to the bureaucratic level". Electronic voting (e-voting) in elections can help increase voter turnout and is technically safe. But it is also exposed to human vulnerabilities like voting pressure from political parties, Miko Haljas, Estonia's ambassador to Budapest, told EURACTIV Hungary in an interview. With decades of EU institutional reform and eastern enlargement culminating with the entry into force of the Lisbon Treaty, the European Union is now "as close to the final EU institutional balance as we are likely to get in our lifetimes" and leaders can focus on pressing issues like climate change, energy and food security instead, Tom Spencer, executive director of the European Centre for Public Affairs, told EURACTIV in an interview. The Lisbon Treaty leaves scope for 'turf struggles' to take place over the division of power between the new EU president and High Representative for Foreign Affairs but this is less likely given the personalities currently in place, Georg Danell, managing partner at the Brussels office of public affairs firm Kreab Gavin Anderson, told EURACTIV in an interview. National parliaments will need to work hard to get to grips with EU legislative proposals quickly and join forces with their counterparts elsewhere in the EU if they are to make the most of the additional scrutiny powers granted to them under the Lisbon Treaty, Caroline Wunnerlich, managing director of Fleishman-Hillard Europe, told EURACTIV in an interview.